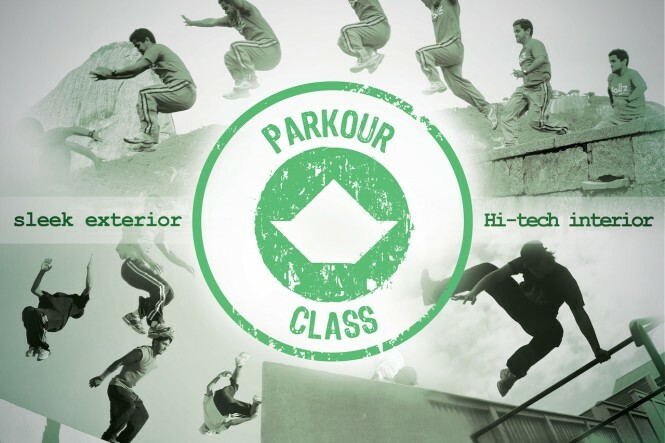 Monaco based design studio, Pastrovich, has proudly unveiled their 4 New Unconventional Vessel Classes: Backpacker, Dressage, Freeride and Parkour, each representing a kind of Owner’s personality. 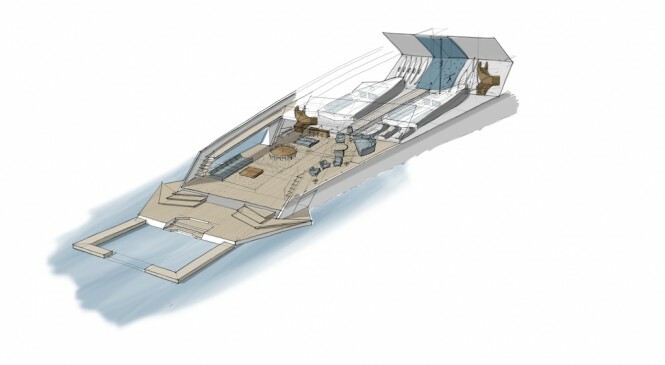 The all-new 90m motor yacht X-KID STUFF concept belongs to the Parkour Class. 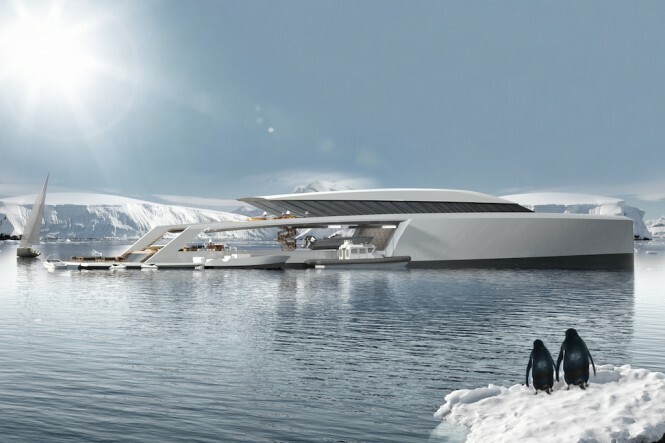 Representing a seamless match to her owner, luxury mega yacht X-KID STUFF concept blurs the lines between absolute luxury and utility. The hangar becomes a part of its everyday life, the toys become your bucket and spade, they are tools, tools for exploration and tools for fun. From storing jet skis all the way up to 15m explorer ribs, all bases are covered, anything is possible. Pastrovich started from scratch with superyacht X-KID STUFF concept. Their mission is clear in their mind, the end result is outlined by the class of yacht chosen ‘cool silhouette, unlimited exploration’. Imagine driving a buggy transporting all of the yachts provisions directly into the food store. Not only does it create a fantastic opportunity for guests, but it also streamlines normal crew practices on board. By deploying a simple, inflatable, modular jetty one can simply ‘walk to the beach’. This gives the user an experience of freedom not yet realised in a yacht even close to this size. The potential for such an object is enormous, quad bikes, jeeps, motorbikes, vehicles of any kind can simply be driven from sea to land. 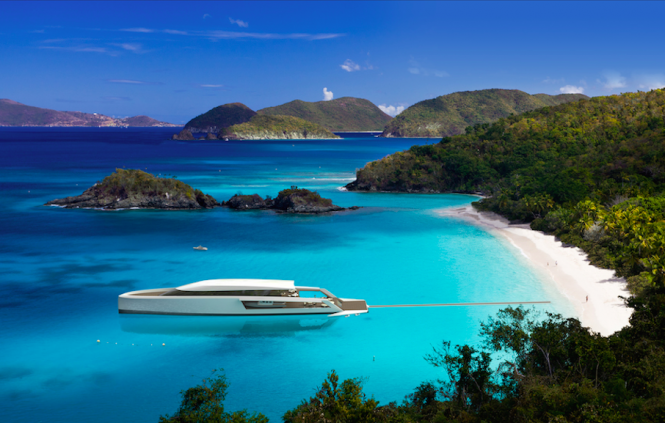 Traditionally a yacht of 90m could not lay anchor close to the shore, luxury yacht X-Kid Stuff brings the versatility of a small pleasure craft to a superyacht which would sit happily inside the top 100. However, even a small day boat requires a tender to get you to the beach. This is not the case with X-Kid Stuff. 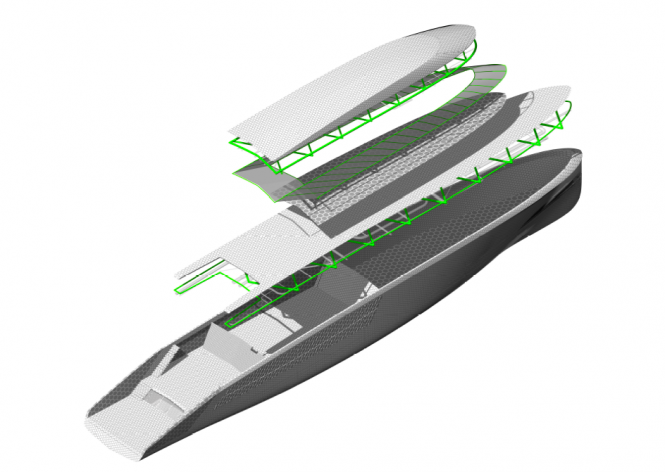 The engineering and technology of the X-Kid Stuff yacht are key to its core values. The studio’s inspiration first comes from nature. The beehive is one of the most efficient structures in one’s comprehension. It combines Maximum strength with the minimum amount of material. This beautiful natural structure has formed the architecture for the entire design. Lightweight is the main focus, that’s why the entire hull is made in carbon fiber, the floating decks are in titanium, the large openings are all in lightweight materials, as also the superstructure. Our outlook focuses on going back to basics, we are constantly asking ourselves, why this, Why that, and Why do we need? If the systems architecture of ducting and wires can become a feature, why hide the pipes? The resulting aesthetic would be just like a space ship while also save a considerable amount of weight. Here, you can distinguish some of the interior design features. This is an open deck concept, where one open space is intelligently partitioned to fit with the next. Each space has its own different purpose while each space exists harmoniously with the next. The hangar is connected to ‘the terrace on the sea’ which is connected to the beach and the natural pool. The idea is that there are no boundaries, the interior flows seamlessly into the exterior. A simple slide of a singular wall can transform an open space into a private space when necessary, but the important message is that each space is connected, whether its the interior or the exterior. Then, with the movement of a single wall, those individual spaces can be opened into one enormous open area. 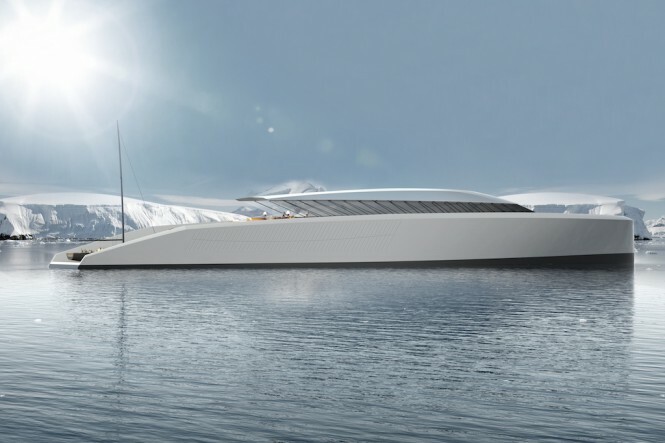 Traditionally yachts are built using transverse and longitudinal beams, X-Kid stuffs’structure itself is hexagonal, and interior design is matched to the structure, that way walls, windows etc are always located in a correct and convenient position between structure. The design exploits the beauty of the hexagon form and puts into good use with a modular arrangement of walls and furniture resulting in a very useable, practical interior arrangement. From this interior development sketch you can appreciate in some more detail the interior design concept. Demonstrated here is the connections between different spaces within an overall larger area. The studio’s method always is to refine their knowledge and understanding of all the singular systems that comprise the architecture of the yacht. Such as; tender launching systems, fuel systems, the exact and precise layout of the furniture on the terrace, even something as benign as a conventional staircase. The studio likes to compartmentalize, study, and then bring all these elements back together to achieve something new. 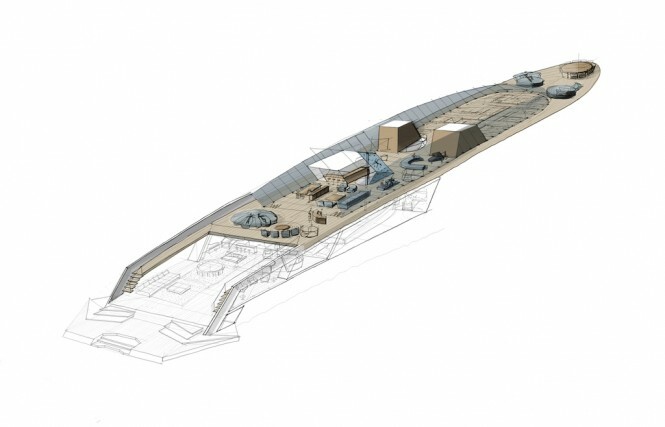 As such, the connection between the hangar deck and the main deck Duplex design is threefold; Conventional stairs, a free climbing wall and a fireman’s pole.